My book Cocaina (published in Swedish September 2010) is a project I have been working on reluctantly since 1989 when I first set foot in Colombia and had a ringside seat at Pablo Escobar's all-out assault on the state. Escobar and his henchman killed thousands of innocent people, but 20 years later, after the US spending $15 billion dollar on its drug war, Colombia produces five times as much cocaine as during the Escobar era, and consumption worldwide is on the rise. A drug-fuelled civil war has forced four million people from their homes, making Colombia the seat of one of the world's gravest humanitarian crises. Guerrilla forces tear the country apart, and a third of Colombia's congress is under investigation for collaborating with death squads. What happened between Escobar's death in a rooftop shootout in 1993 and the present? What will happen in the politicized world of cocaine and the drug war in the years to come? Colombia still produces 70 percent of all the world's coke and is the perfect laboratory for producing illegal drugs. But why? How is this truly global industry affecting poor peasant families on the run from armed groups financed by drug money? Military tension between Colombia's right-wing government and socialist Venezuela has become a security threat for the entire hemisphere – how does cocaine and the US war on drugs play into this unsettling geopolitical game? What, in the end, is the future of cocaine? The book tackles these questions by following coca growers, drug traffickers, refugees, hit men, anti-drug police, cocaine processors, politicians, intellectuals, DEA-directors, cocaine tourists, guerrilla fighters, death squads and the many victims of violence. It is based on three years of research and more than 100 interviews. When I began my love affair with this deeply-scarred and deeply-beautiful country, I promised myself that I would never add another book to the already lengthy row of journalistic tomes on Colombia and cocaine. But I slowly realized there was something missing in what I read so finally I decided to come up with my own contribution. 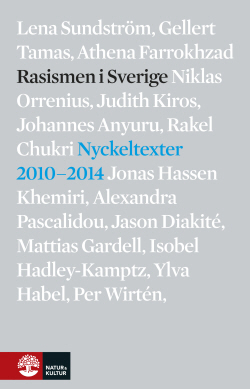 "I don't know of any other Swedish journalist that with the same ease as Magnus Linton can move between the reporter's presence, summaries of the fruits of academic labour and global political analysis: like a skilled driver, he manages to keep the style regardless of road conditions. There is something cinematic about his art of reporting: violent Spanish slang exploding the narrative, contrasted with nature poetry. It is a story about catastrophy, yet without phony advices or solutions." 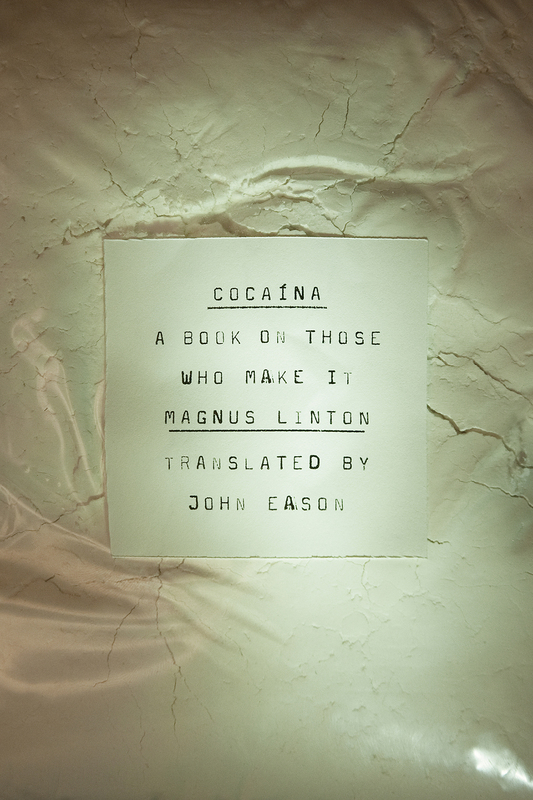 "Cocaina describes a reality in a constant state of change and in his stories from different corners of Colombia, Linton manages to weave in complicated historical perspectives in such a matter of factly way that you don't even notice. He even manages to here and there illuminate the ‘other' Colombia – the incredible country beyond drugs and violence that Linton himself would prefer to tell us about. It is in many way a brilliant book, based on stories that were not only difficult to write but also dangerous." "The thing with Cocaina is that it is damn good without the author himself being too visible. Linton does not write himself into the story, he does not position himself on the issue of legalization, except in a sweeping formulation in the preface about how he ‘neither wants cocain in the grocery store nor to live in a drug-free society'. And this is certainly not a pamphlet about a drug, rather it is an exposé on Colombia: a well researched and loving portrait of a nation with an unusually violent contemporary history." "I notice while reading that I forget that there are actually people who use cocaine, all the users and abusers are abstracted by the concept of 'demand'. This approach is admirable in all its stubborn consistency: we see the politics of cocaine much more clearly when we don't mix in the reasons why people take drugs, the misery and the moralizing. Some might argue this makes half the picture. Linton seems to suggest that the picture this way gets so much clearer, and I agree." "Among all the exciting different strands in Magnus Linton's story the most fascinating one is about how the USA's war on drugs in Colombia is no longer concerned with exterminating cocaine, but rather about using the drug as an excuse to maintain geopolitical power in the region. This dimension makes it all the much harder to propose a simple solution to the humanitarian catastrophy that is the global war on drugs. Magnus Linton is wise enough to not shrink his magnificently complex story to a package of simple solutions." "Linton skillfully switches between macro and micro perspectives. From portraits of partying backpackers and poor peasants growing coca, to the political game and its history and present. It is difficult to nail down power structures in both small and large contexts without becoming overexplicit, but Linton succeeds. A condition for this is the liberating lack of sentimentality that characterizes the book. Informed and straightforwardly, Linton tells us about the course of events and their history, without ever glorifying or victimizing anyone. At the same time the book is imbued with a strong pathos. The drug trade is an ever-present backdrop for a larger story on power, state and poverty."